I believe everyone desires to have perfect skin that is smooth, supple, and radiant with a youthful glow. Today, I want to share will you some of my favorites from Per-fekt Skincare, a company with a unique all-in-one beauty line that extends easy options to traditional makeup, helping to reveal the skin’s natural beauty instead of hiding it. 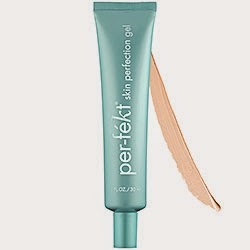 I have now shared with you some of my favorite products from Per-fekt Skincare that are effective and most important they work. They make great gifts for that special person in your life that is looking for skincare products that not only make skin look great, but are made with high quality ingredients that are actually good for the skin.